We had our team out in full force at CAMEX 2013 in Kansas City, MO from February 22-26. Snow, sleet, and more snow did not deter US Digital Media from bringing our A-game with a new line of officially licensed mobile accessories: BudBags® Earbud Duffel Bags, Guard Dog® Mobile Cases, A.P.U.® Mobile Phone Chargers and USB Car Chargers! 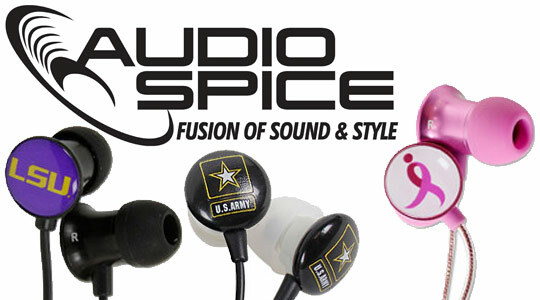 These new products were a hit and the perfect complement to our stellar line of best sellers: AudioSpice® College Logo Earbuds and Flashscot® USB Flash Drives. 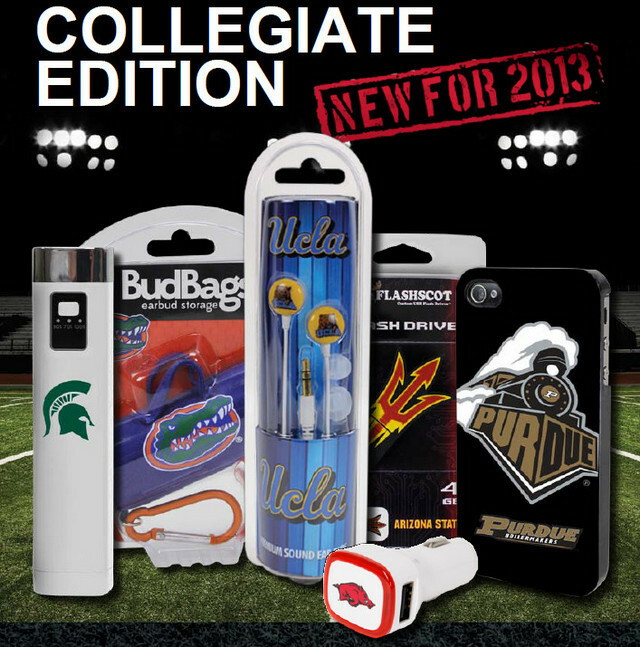 Everyone loved our new additions to our Collegiate Licensed Mobile Accessories! From long-time buyers, to new retailers we met for the first time, A.P.U.® Mobile Phone Chargers and USB Car Chargers were a hit. Many said this was the first time they had seen anything of that great quality with licensed college logos. Being stranded with a dead cell phone battery is the worst, and probably happened to a few people at CAMEX. Showing school spirit and alma mater pride is great when it is also saving your customers phone and keeping them connected. Available in power sizes for smartphones and tablets and with the option to charge BOTH at the same time, A.P.U. Mobile Phone Chargers and USB Car Chargers, emblazoned with any college logo, is the perfect life-saver! The great thing we kept hearing from retailers was how much they loved our package design! Have to say, we fully agree. With a team of talented designers, USDM Mobile Accessories offer more than just a useful and quality gadget, they are an extension of the customers personality and identity. Long time buyers have seen the success of our packaged products on their shelves – because they can’t keep them stocked! Perfect in the “Merchandise” section with other college branded products, USDM Mobile Accessories stand out and make an instant connection with students, faculty and alumni. See for yourself! And feel free to contact our reps for more information! This entry was posted in Events, Products and tagged AudioSpice, BudBags, CAMEX 2013, College Logo Merchandise, Event, Flashscot, Officially Licensed, Trade Show by csmith. Bookmark the permalink.